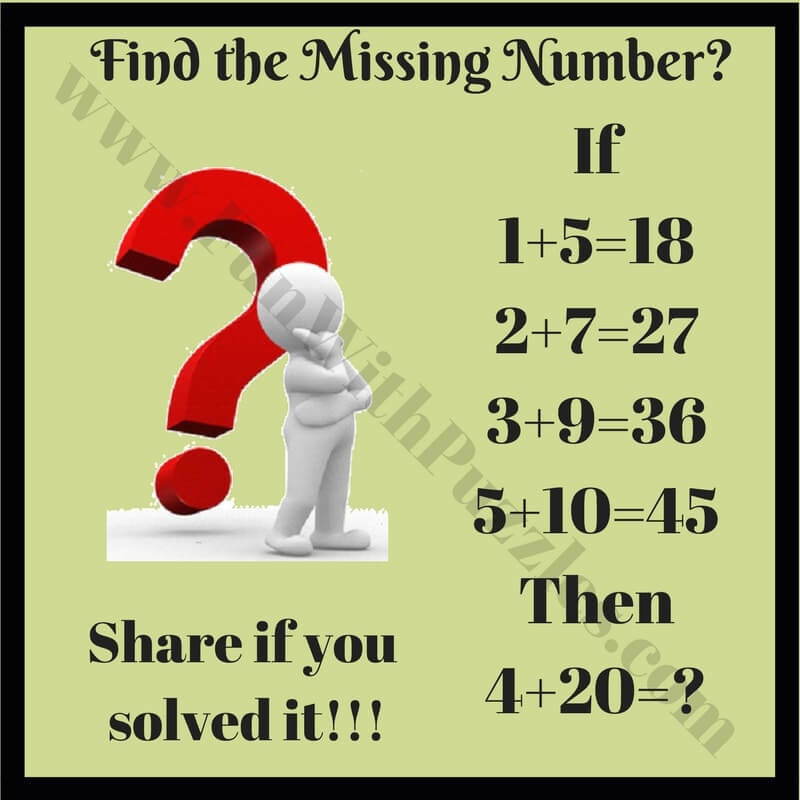 Mathematics Equations are very much fun to solve. However if we twist these mathematical equations then the fun of solving it with logic gets double. Here are some math equations which has been twisted so that result is different from the expected answer. However each equation in every brain teaser below follow some logical twist. 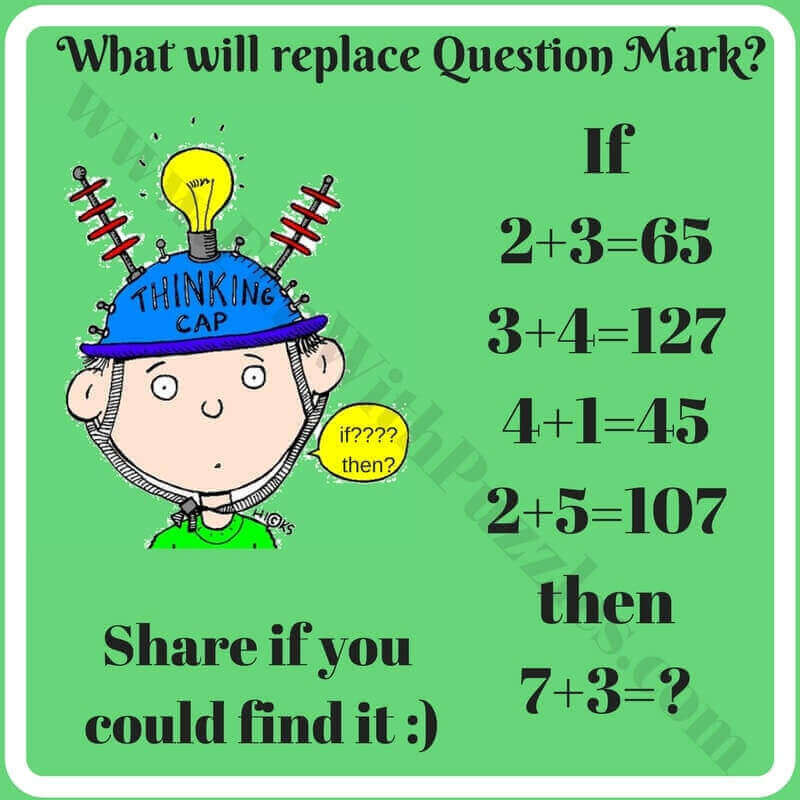 One has to find this logical twist to these math equations and has to calculate the final equation, so that it follow the same logic as the previous equations. Answers to these equations along with explanations are given below. 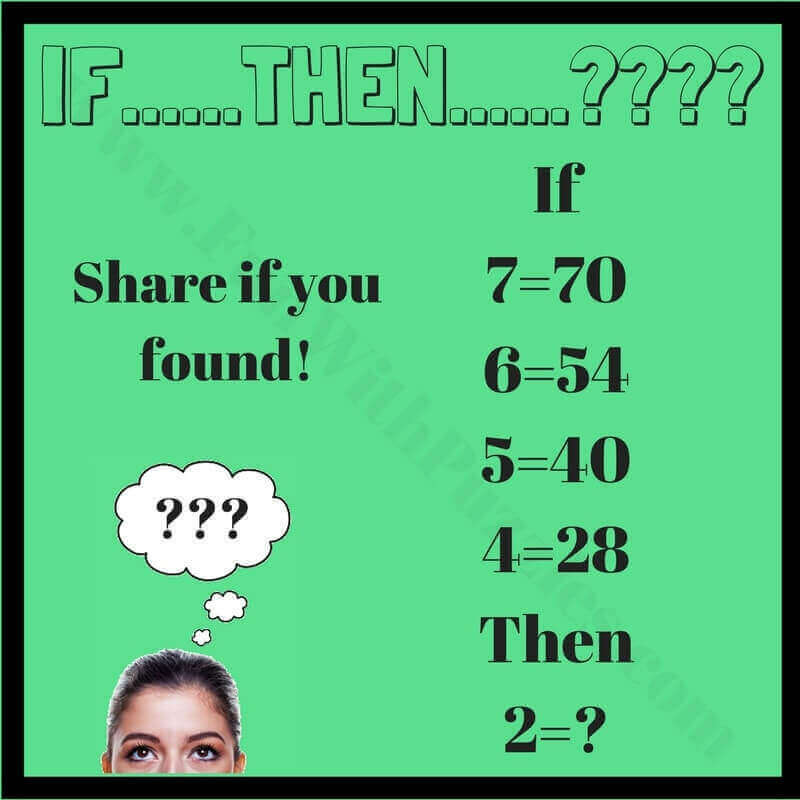 However please do post your answers with logical conclusions in the comment box of this post. These Mathematics Logic Brain Cracking Problems are the part 1. 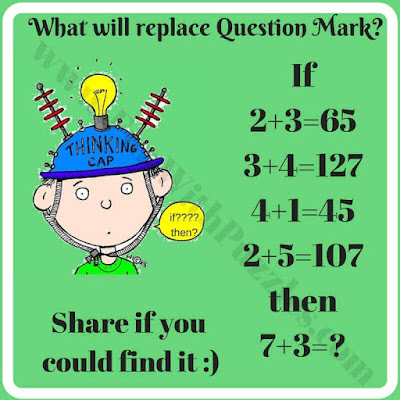 Next set of similar logical Maths problem can be found at Mind Challenging Maths Logical Questions and Answers. 1. 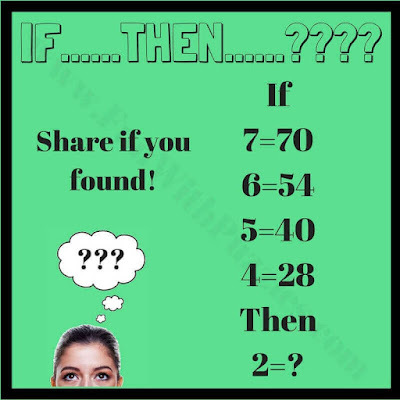 Mind Twisting Out of Box Thinking Brain Teasers with Answers and Explanations: It contains 5 Mind Twisting Brain Teasers which will make you think out of box. 2. 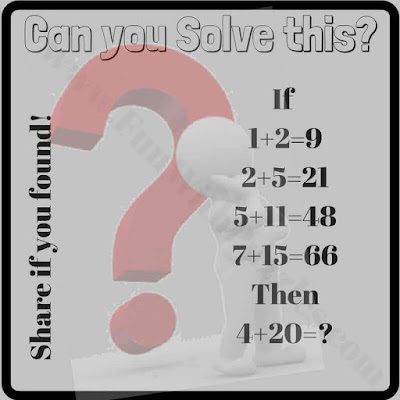 Interesting Brain Teasers to Challenge your Mind: It contains very interesting mathematical, logical and picture brain teasers to challenge your mind. 3. 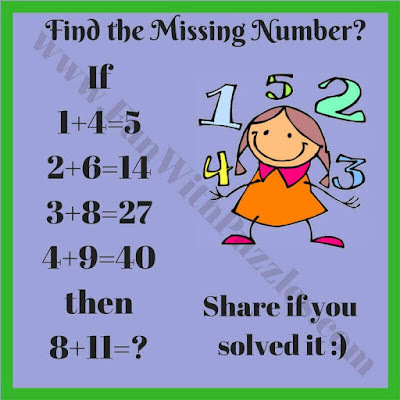 Easy Mathematical Brain Teasers with answers: Here you can find easy Mathematical Brain Teasers for kids and teens. 4. 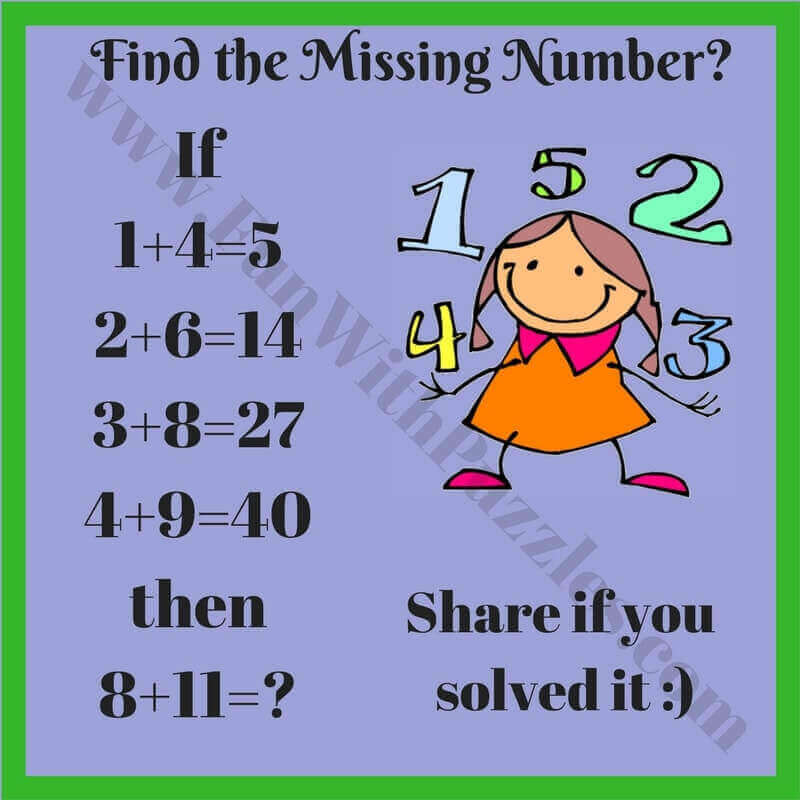 Math Logic Brain teasers for high school students: If you liked above given Mathematics Logic Brain Cracking Problem, then you should not be missing these Math Logic Brain teasers. Most of your answers are correct. 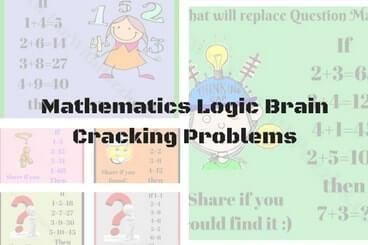 Now we have updated answers of these Mathematical Logic Brain Cracking Problem along with the explanation. 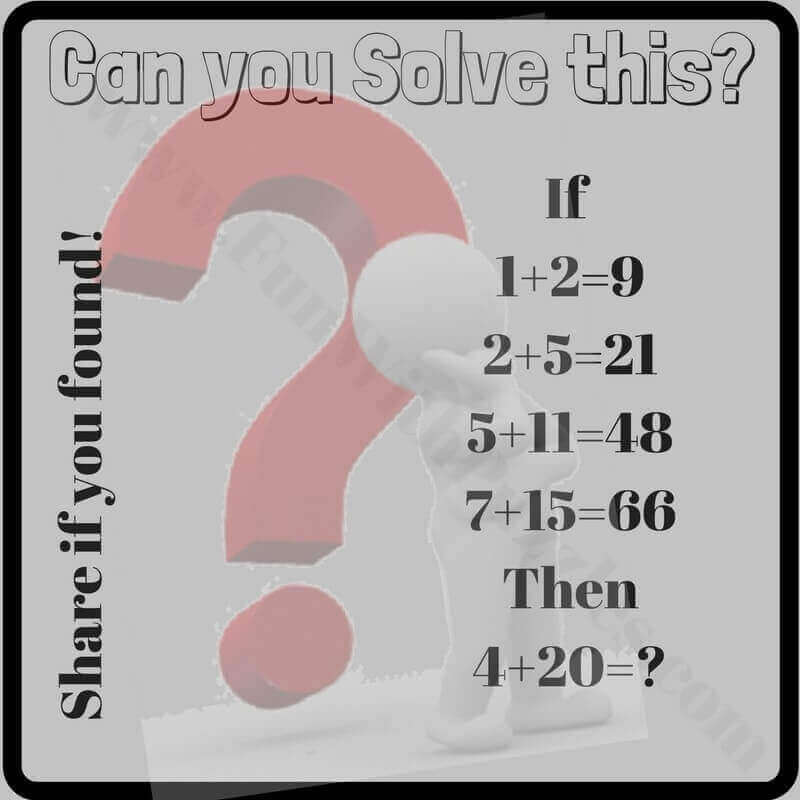 Yes, your answer for this #puzzle is correct.